Slightly Unemployed, is, quite simply, a delight. Winspear's lyrics are so pointed and timely that she is a one-person latter-day Gilbert and Sullivan. Slightly Unemployed celebrates the anxieties of a twenty-going-on-thirty-something in this day and age. Joyously. With a swing band. And pop perfection. 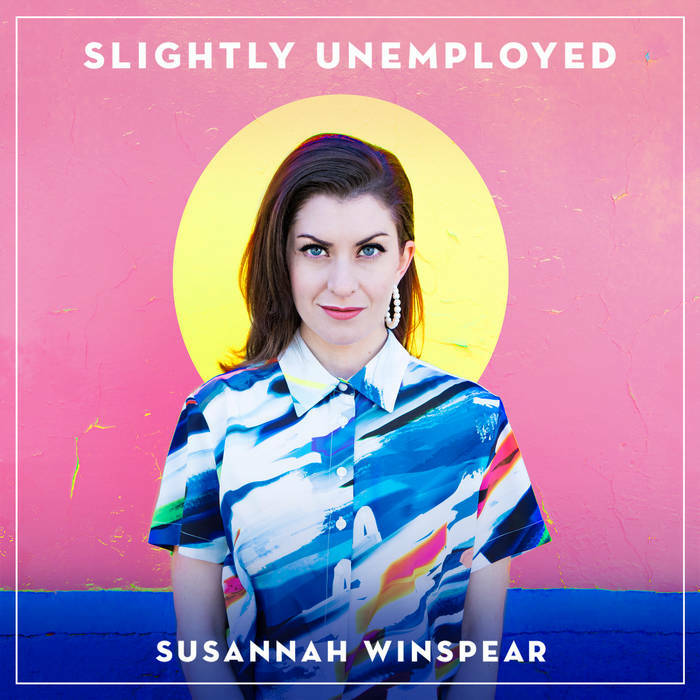 "Slightly Unemployed" kicks the EP off with a celebration of slackerdom that hints at a darker depression. My favorite, "P.F.S.R." should not be listened to at work, but it balances sincere pop with hipster irony and a feeling I have had many times at the beginning of relationships. "White Collar Criminal" caps the four-song EP with something straight from My Crazy Ex Boyfriend, a stunningly witty and disarming indictment of the world's movers and shakers. Even if you're lucky enough not to be in Winspear's demi-employed, demi-attached predicament, these songs are instantly relatable. We're in the Future, but things still don't work the way they're supposed to. What gives?